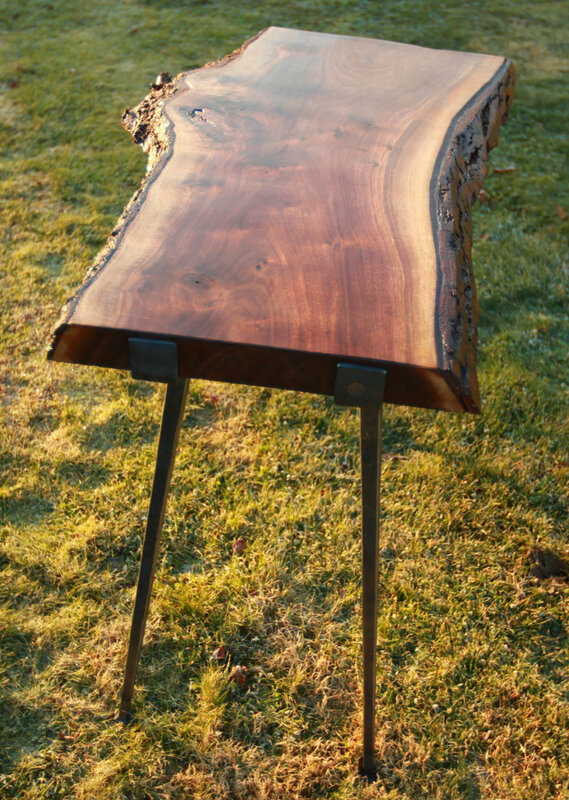 Live Edge Black Walnut with preserved bark intact, urethane finish for protection, hand forged solid iron legs and brace. Very comfortable height for laptop typing. Iron Brace is branded by Blacksmith Willy Blass.